R&D. That directly refers to EV and autonomous tech. In our review of the BMW 2 Series coupe, we proudly proclaimed that it was one of the best BMWs you can buy today. 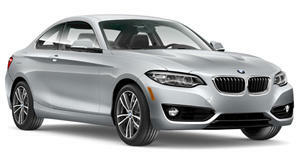 It evokes what BMW has always done best: small, fairly lightweight, and fun to drives coupes. And one of the key elements that made them so enjoyable was the manual transmission. According to Reuters, however, BMW will be dropping the 2 Series Coupe manual as part of an effort to cut down on costs in order to fund research and development. Currently, a six-speed manual is a no-cost option for buyers. As you’ve probably already guessed, that R&D is for electric, autonomous and connected cars as well as re-engineering combustion engines to meet future emissions regulations. The report states the 2 Series Coupe manual will be dropped specifically in the US, though it could still be offered in other markets, at least for the time being. Other areas of cost-cutting will include engine variants and even the manual option in entry-level versions of the new 5 Series diesel. Last year, BMW spent 5.5 percent of its total revenue on R&D and, according to BMW finance chief Nicolas Peter, "the next three years will be between 5.5 percent and 6 percent." The cost-cutting does make sense, especially, as Peter put it, "We have over 100 steering wheels on offer. Do we need that many variants?" Steering wheels we get, but it’s really a shame more US buyers didn’t opt for a manual-equipped 2 Series.